GoPro has unveiled the Hero+, their new action camera that featuring Full HD video capture alongside Wi-Fi connectivity for £169.99, including free P&P this bring the Hero+ into budget camera territory and will no doubt become a market leader. The Hero+ is shoots in 1080p at 60, 50, 30, 25 and 720p at 60 or 50 frames per second, as well as 8-megapixel photos and time lapse videos. GoPro now provide an app for playbale and monitoring the shots you are setting up. A Smart Remote over Bluetooth and Wi-Fi is also available for £64.99. The integrated housing, which is not an optional extra, allows the camera to be waterproof down to a depth of 40m. The Hero+ doesn’t have 4K support, a touchscreen or dual mics like other models in the line but at a budget price, there certainly will be a depend for the camera to capture some of the users crazy antics at 60fps without breaking the bank. 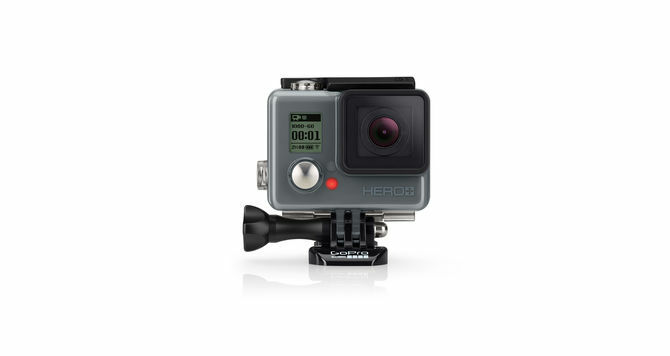 The Hero+ will go on sale on GoPro’s site as well as retailers across the globe on October 4. Here is another option for the Selfie craze that still grips our society. 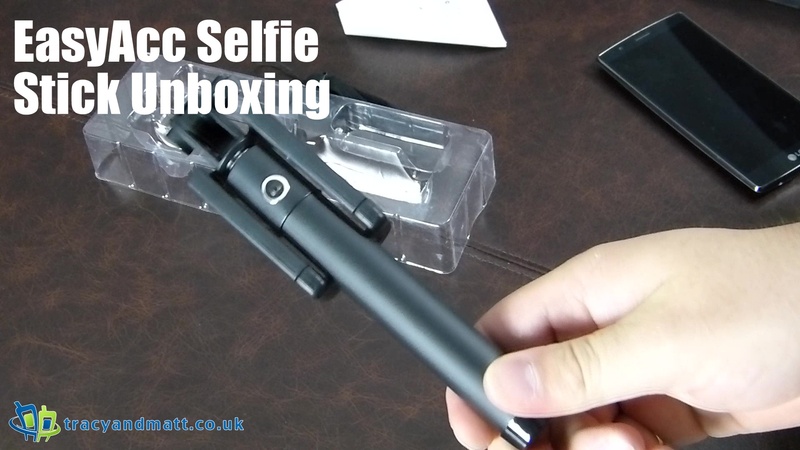 The EasyAcc Selfie Stick Quicksnap is a modestly priced monopole with Bluetooth build in. Designed to cater to phones such as the iPhone 6, iPhone 5S, Samsung Galaxy S6 and S5 the 9.7 cm maximum length of the clasp will accommodate most phones. The Quicksnap brags a 270-degree adjustable head to help find a better angle when taking a selfie. Despite it’s 80cm reach when extended the stick is only around 20 cm when folded making it easy to store. However, as this is Bluetooth the stick requires a charge to continue to operate. The 60 mA battery will probably only take a short time to charge however the charge will only stay for 3 days, so you must think ahead or have a portable charger in the event you need to use it on the fly. – The smart phone ABS holder is stable and durable. The clip on the holder can fix the phone very well so that you can enjoy your selfie photos. – Stainless steel stick can be 7 times extended, which offers you long enough selfie distance and a stable position for various situation of photos. – The ABS handle is comfortable to hold. – The smart phone ABS holder can be folded, when you don’t need to use it. – Via Bluetooth the selfie stick can be connected to the camera from smart phone directly, and you don’t need to set up wireless Bluetooth remote. – It’s only 20 cm once it’s folded. Considering our travelers, we made it so easy to carry. 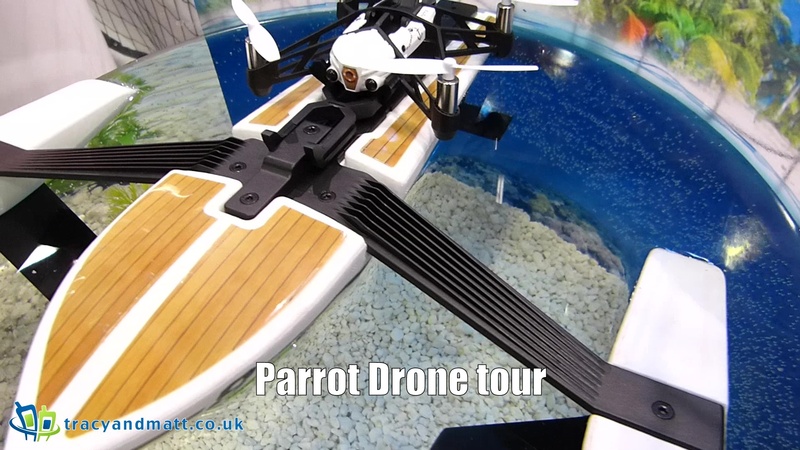 Parrot have a wide range of drones available and here we take a look at four of them. Each device has a particular twist on ability and it’s easy to see what this is. Whilst being designed for fun there are practical uses in Search and Rescue for each device. These device become more sophisticated every year and the flexibility is endless. Discover Parrot Hydrofoil Drone, one of our second-generation Minidrones. The hydrofoil is a hybrid drone that uses its propellers to move on fresh water. Its nautical structure props the Hydrofoil Drone up 5 to 6 cm above the water, in a balanced manner. Fast and easy to pilot, it speeds up to 10kph (6.2 mph) on water. You can also fly your Minidrone for an incomparable piloting experience! Discover Parrot Jumping Night Drone, one of our second-generation Minidrones. Energetic, ultra-stable and easy to pilot, this astounding drone is equipped with two powerful LEDs for exploring in the dark. Be it at night or day, shed light on your path and get ready to perform incredible moves and create light and sounds effects with this animated Minidrone. Parrot Jumping Night Drone is a responsive Minidrone with a strong personality that rolls, rushes, zigzags, circles and makes quick turns. In a flash, it leaps up to 80 cm/2.5 feet in the air. It is a true explorer and can see everything, even the darkest places, thanks to its two headlights. You can record videos with sounds directly onto the internal memory. The embedded camera puts you at the heart of the action! A dashcam is a sensible move for most on the road today as there are many terrible drivers out there. Recording how an accident occurred could be vital evidence for an insurance claim. Those who spend all day on the road would actually seek a higher end product, however those who take to the roads once a day, or perhaps a couple of times a week are probably reluctant to shell out too much on a capture device to keep things in check. 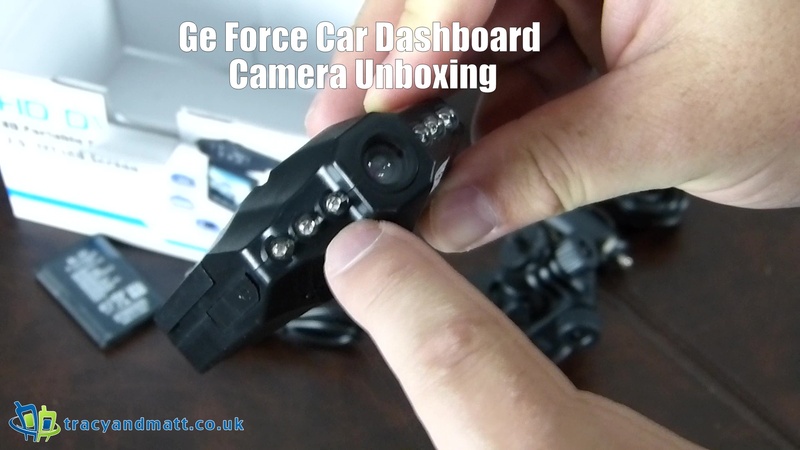 Mobilefun have sent over the Ge Force Car Dashboard Camera, a cheap and cheerful alternative for only £24.99. This camera does exactly what you would expect. Set it and forget, you plug this in and it will happily record your daily commute over and over until the horrible day you might need to use the footage. Adding in the ability to grab a little motion detection footage you can rest easy knowing that your cars view point it being recorded in the shopping center car park, and anyone meddling with your car in the record area will be captured, as long as the battery lasts. 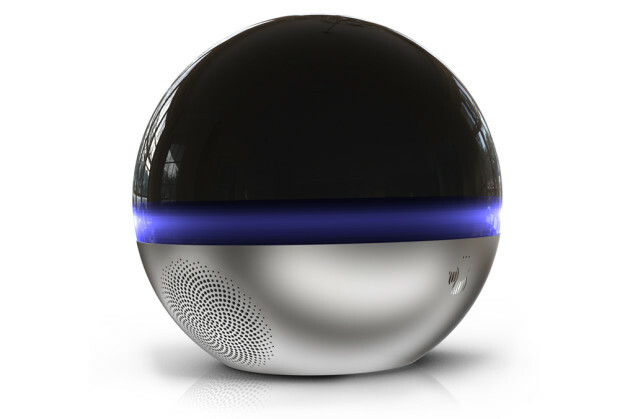 Company Branto unveiled on Indiegogo Super Smart 360 Cam named Branto Orb, that allow 360 videocalls, supports cutting-edge level of communications (through the glasses of augmented reality) with your home or office, advanced security and appliances control. Early adopter pledges are available at US$279. Shipping is expected from December this year. Branto can be a back-end for virtual/augmented reality devices, uncovers a new reality layer for users. It opens new possibilities for communication because it makes communicating with your loved ones while they’re at home and you’re at your office or on a business trip much easier than previous technological devices. You can also be involved in an important meeting via Branto while you’re thousands of miles away. Users can also create a smart network of two, three, or four Branto’s that will enable them to see every part of home more expeditiously. Check out their Indiegogo site. 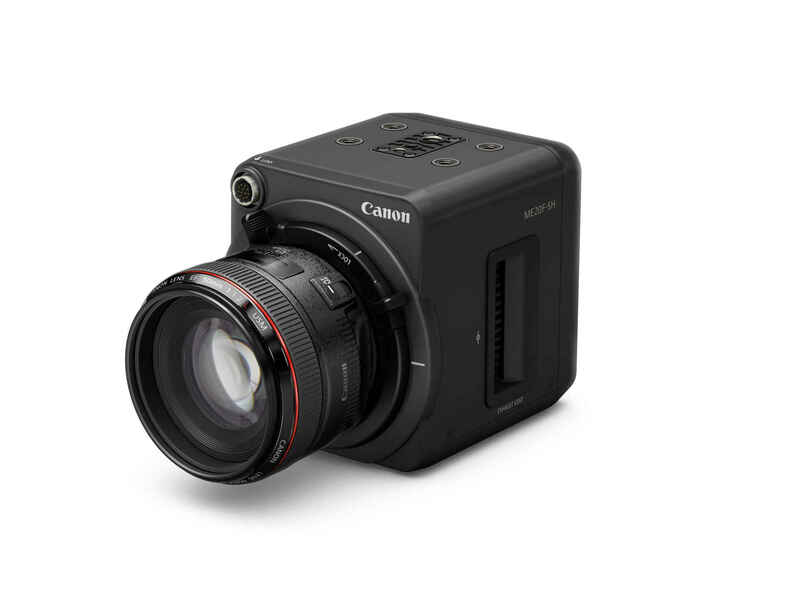 Canon has recently announced a new multi-purpose camera known as the ME20F-SH. This specificaly designed camera has a novel featuring allowing the user to capture full HD colour video in pitch black conditions using an ISO of 4,000,000. An ISO of this scale is off the chart for current cameras, utilising a full-frame 35mm CMOS sensor packing just 2.26 megapixels. In addition to this the camera also increases the size of each pixel up to 19μm (5.5x larger than a high-end DSLR) to allow more light to be captured. The potential for Security, a wild life photographer, explorer and even deep sea diving is extreme. This will allow shooting in persistently dark conditions. Picking a compact camera on a budget should be a simple task if there wasn’t such a huge number on the market. No matter your budget there is always a model for you however there is a slightly nicer feature included for a couple of pounds extra on a different model. Limiting yourself to a budget is a difficult thing as one can very easily see the line drawn becoming blurred when you try to get the best value for money. 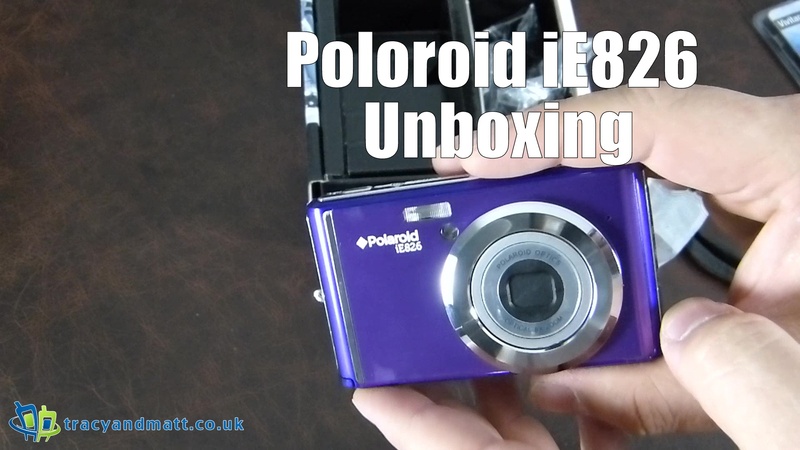 The Polaroid iE826 has received some negative press of late with a couple on Honeymoon having dropped a whopping £80 on the snapper and expecting the world from the output. The outlet purchased from merely deflected the issue with a “you get what you pay for” excuse. Oddly, in the case of the Polaroid iE826 we see a camera that obviously suffered from a price conscious feature set yet also a victim of shrewd pricing from some retailers. QVCuk sell the camera of £44.88, the couple claim the the camera was reduced from £80, you have to wonder if they are more annoyed that the camera was available cheaper elsewhere and if they would have kicked up quite a stink if the price had have been as low it is on QVC’s website. The camera is however not as bad as the couple has made out. Certainly it won’t take home any prizes however if does take some workable images in the right light. Everything is almost good here. Not quite good, but getting there. The camera looks nice, the colour array available is very attractive and that is the best thing it has going for it right now. The fascia is bright and popping. Aside from the colour scheme the setup is very much standard, the layout of these compact cameras is so tried and tested that it is impossible to get wrong. The build is quite light and plastic. Whilst solid it would not survive a few night of brutality in a nightclub and a couple of drops would likely have a detrimental effect on something inside. This is a disposable camera, you won’t be dusting this off next summer to capture those treasured moments taking the kids to Disney. The optics inside are where we are let down, the crucial part of the camera. Whilst serviceable in daylight the camera ISO of 400 really leads to less than acceptable low level light shots, the flash only adding to the disappointment. Just avoid using this indoors and forget about taking it to a nightclub. Outdoors the images captured are pretty good, nothing pops but at the same time we have seen worse over the years. Setting everything to Auto isn’t the best idea, if you stay on top of the settings you might be able to salvage many of the shots and produce something quite commendable. Fast action also leads to disappointing results, sports days and skiing will become a blurry memory. There is in built social networking tools allowing the user to share directly to YouTube, Facebook and MySpace. Yes, MySpace. Perhaps because the battery was new the charge didn’t last too long. Having charged the camera for an hour before use the battery had dropped to three quarters taking the test pictures and video content for the unboxing video before. There is a lot of motor noise coming from the lens as the auto focus attempts to ‘lock on.’ This likely drains the battery quite a bit so ensure you have a spare or a charging solution before you go on a full day excursion. It is amazing cameras at the bottom end aren’t improving like the modern Smartphone. For the very little extra you might be able to get a better camera built into a smartphone however this bleeds into the budgeting conundrum of not wanting to spend a penny more than £44.88. I couldn’t recommend the Polaroid iE826 to anyone unless they are back into a corner, the Daily Mail may have covered the camera with a more negative light then the camera is due however that’s the modern media, it is bad but not THAT bad. Thanks to QVCuk for the review sample. When purchased from QVC an Essentials Kit is provided, we will be having a look at this tomorrow. Purchasing a drone is an expensive task. You can really lay out a lot of money to get something stable, smooth and will produce good results. 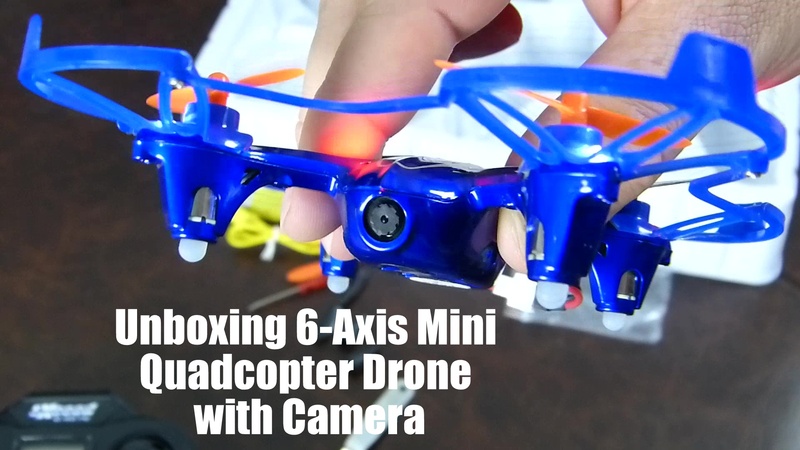 It is probably recommended you check out a cheaper Quadcopter first for a couple of reasons. Your ability. They can be difficult to fly. Up, down, left right and rotating are the main commands however you also have to take into account wind speed and surroundings. The more you pay the easier this becomes and enthusiasts will likely throw money at a manufacturer to have more tech no board to assist with their flight. Your need. Curiosity is the main reason I asked to review one. On the one hand I wanted to see if I would use it, on the other I wanted to have a look at my roof without having to get out the ladders. Two reasons that hardly need to have big bucks invested in tech. So when I noticed that Mobilefun had a little drone for £40 with a camera on-board this would cover the need. The only thing was the ability. Flying a lower end drone is not an easy task. A smaller, no frills drone is easy to lose control of, becomes susceptible to wind and will require extreme patience to find enjoyment in. First up is the built quality. This is going to take a beating in its first hour off the ground. It will crash into trees, walls, hedges and ultimately, the ground. This little drone will take a licking, not a massive licking but will sustain a bit of rough treatment as it collides with everything around it. It looks good, feels light in hand and will impress anyone passing by. The controller isn’t as sturdy as the drone, built from cheap plastic and the buttons are horribly clicky. The beeps from the controller are shrill, the screen is basic and I am not convinced that all the buttons work. Secondly is the use. I am of the mindset that a more expensive drone will be easier to control with gyroscopes to assist flight. For this Quadcopter a small gust of wind can upset the flight path and depending on the quality of the pilot may send it tumbling to the dirt. Rotors can bend easily upon impact and thankfully there are a couple of spares in the box. I haven’t had to use any however the casing had needed to be clicked back into place after a meeting with an apple tree. The thumb sticks are not particularly accurate. However this is £40 alternative and the fact that is even flies is enough to impress. Third, is the battery. Flight time is about 7 minutes. Not a lot, however the size of the battery will directly affect the performance as this needs to be light. I’m happy with the flight time as there is enough time to have some fun and charger takes little over an our. The first few time do become somewhat annoying when the battery dies as it seems to come at a point that you are beginning to understand the method behind keeping it in the air. The camera isn’t particularly great however it’s a welcome addition. Whilst only a 0.3 megapixel offering the quality isn’t a bad as you might think as you will see from the footage in the unboxing video. Instead it appears quite serviceable, especially for checking out a roof. The drone is quite noisy and as such the microphone is a bit of a waste. Whilst this will be considered a toy by most it’s a great learning experience. I am even more interested in drones now having played with this and will be looking for a more advanced model in the near future. I do however have a little voice in the back of my mind telling me that these might be made illegal at some point and investing money in a high end drone would be a waste. Sony has announced two of the most advanced, versatile Cyber-shot cameras ever to come to market, the compact RX100 IV (model DSC-RX100M4) and high-zoom RX10 II (model DSC-RX10M2) cameras. The two new models both feature the world’s first 1.0 type stacked Exmor RS CMOS sensor with advanced signal processing and an attached DRAM memory chip. The high speed signal processing and DRAM memory chip work together to enable more than 5x faster readout of image data and are responsible for a variety of standout features that have previously been available in only a select few professional-level video cameras. 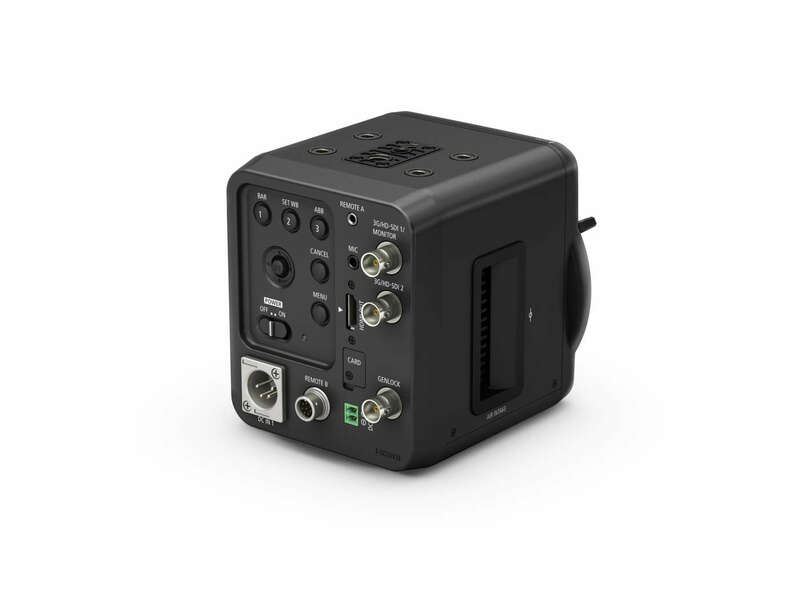 These impressive capabilities include 40x super slow motion video capture at up to 1000fps, an ultra-fast Anti-Distortion Shutter with a maximum speed of 1/32000 second, high resolution 4K movie shooting and more. A first for Sony consumer cameras, the new RX100 IV and RX10 II both have the ability to record super slow-motion video at up to 40x slower than the standard rate, allowing users to capture and replay fleeting moments of action with incredible detail, resolution and clarity. Prior to shooting, users will have the ability to choose among 1000fps, 500fps and 250fps frame rates and among 50p and 25p playback formats to optimise the recording to fit the speed of the moving subject, with the option to use the movie record button as a ‘start trigger’ to begin recording once button is pressed or ‘end trigger’ to record footage up until the button is pressed. The ‘end trigger’ mode lets shooting begin 2 to 4 seconds before the movie button is pressed, enabling shooters to capture the decisive moment with much more consistency and accuracy. For reference, two seconds of movie footage shot at 1000fps and 25p would take about 80 seconds to play back. The impressive speed and power of the 1.0 type stacked Exmor RS CMOS sensor with an attached DRAM chip allows the new RX100 IV and RX10 II to perform exceptionally well while capturing fast-moving subjects. Specifically, it’s fast processing capability results in continuous speeds at up to 16 fps on the RX100 IV and up to 14 fps on the RX10 II for an extended period of time. Additionally, the ultra-fast readout of the image sensor is responsible for the high speed Anti-Distortion Shutter (maximum speed of 1/32000 second), which allow the new cameras to capture sharp, crystal clear images with a wide open aperture at brightness levels up to EV19. 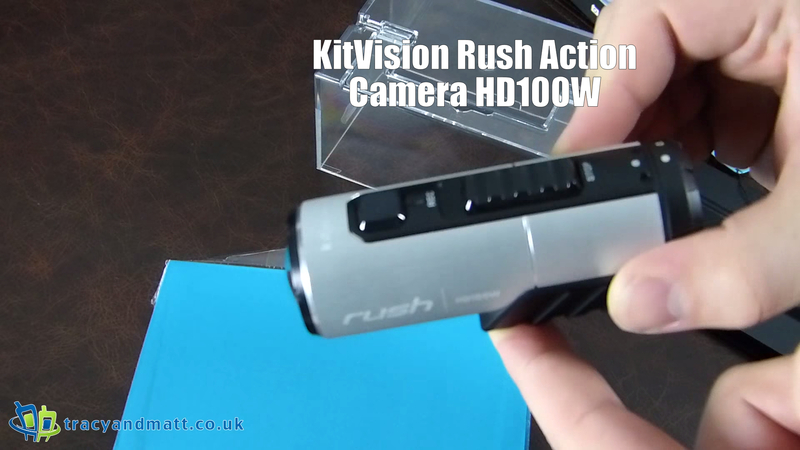 It also minimises the “rolling shutter” effect commonly experienced with fast moving subjects. This allows photographers and videographers to capture beautiful content with sharply focused subjects and defocused backgrounds under some of the most difficult, bright lighting conditions. The new RX100 IV and RX10 II models are the first Cyber-shot cameras to offer the advantages of 4K (QFHD 3840×2160) movie recording. The cameras utilise full pixel readout without pixel binning to ensure that all the finer details of 4K video are captured with minimal moire and ‘jaggies’. These high-quality results are achieved through use of the XAVC S codec, which records video at a high data rate of 100 Mbps during 4K recording and 50 Mbps during full HD shooting. The capacity for shooting 4K differs slightly on each of the two cameras, as the more professionally styled RX10 II can shoot 4K video at extended lengths (up to 29 minutes in Europe), while the more casual, pocket-friendly RX100 IV can shoot 4K clips at up to about 5 minutes in length. Additional professional calibre video features on both of the new cameras include Picture Profile, S-Log2/S-Gamut, and more. Both cameras also have advanced dual video recording functionality, allowing shooters to capture 16.8 MP still images during 4K video recording in any of 11 different composition patterns simply by pressing the shutter button. The new RX100 IV maintains the compact, pocket-sized design of the RX100 family, and has a ZEISS® Vario-Sonnar T 24-70mm (35mm equivalent) F1.8-F2.8 lens, while the new RX10 II maintains the same body design as the original RX10 and has a ZEISS® Vario-Sonnar T 24-200mm (35mm equivalent) F2.8 lens. Each of the cameras is equipped with a new high-contrast XGA OLED Tru-Finder™ with approximately 2.35 million dots of resolution, ensuring true-to-life image preview and playback functionality. The RX100 IV maintains the convenient retractable EVF with ZEISS® T* coating from the RX100 III model that debuted last year. Both of the two new models feature an upgraded Fast Intelligent AF system that enables high-speed, high-precision contrast detection of a moving subject in as little as 0.09 seconds. Sony’s proprietary AF algorithm allows them to recognise and lock-in on a subject with a simple half-press of the shutter button at a much more efficient rate compared to previous models. The new cameras are also Wi-Fi® and NFC™ compatible and can access Sony’s growing range of PlayMemories Camera Applications. Learn more at www.sony.net/pmca. Aesthetically, both of the new models feature a variety of customisable controls and buttons to fit any shooter’s style. The RX10 II adds dust and moisture resistance as well. There is also a new stylish soft carrying case for, model LCS-RXG, that has been introduced. Made of quality natural leather and available in brown and black colours, it is an ideal complement to the sleek designs of all the RX100 series cameras including the new RX100 IV model. The RX100 IV and RX10 II will start shipping in Europe in summer 2015. 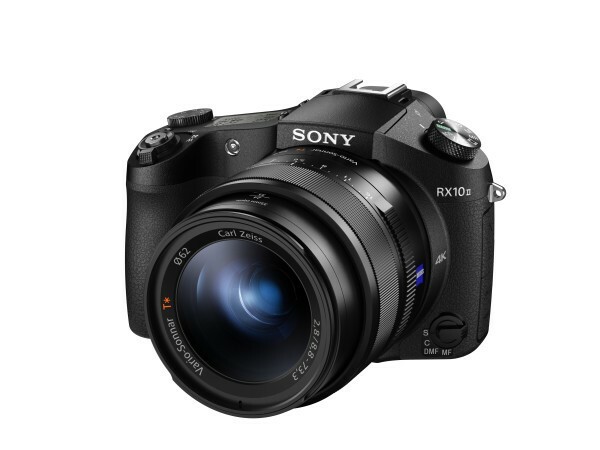 The RX100 IV will be priced at approximately €1,150 and the RX10 II will be priced approximately €1,600.